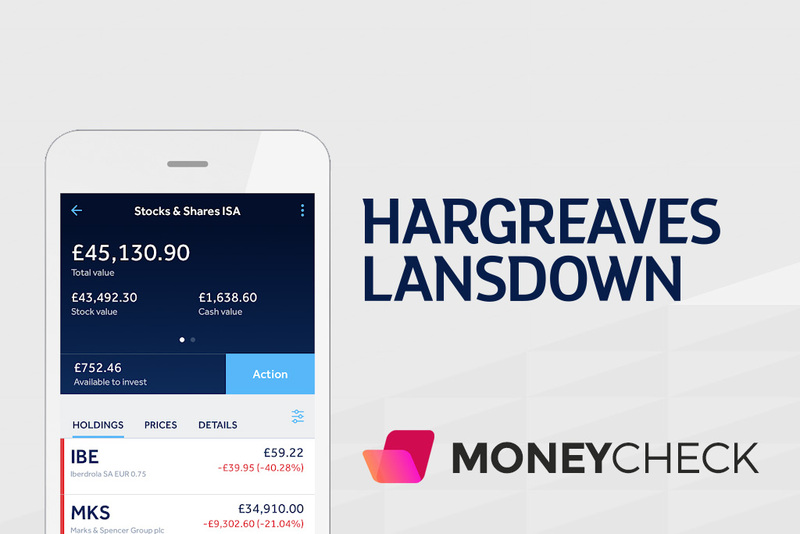 With over 1,000,000 clients, and £91 billion under management, Hargreaves Lansdown is the largest private investor investment platform in the UK. The Bristol based company was founded in July 1981, and listed on the London Stock Exchange for the first time in May 2007. Hargreaves Lansdown is listed on the FTSE 100, an established market leader with multiple awards, and provides investors with a comprehensive platform that includes a wide range of investment opportunities as well as other complimentary resources and services. While reviewing Hargreaves Lansdown, we will weigh up the advantages and disadvantages of the different products on offer, as well as the quality and ease of service being provided. As always, it’s important to conduct your own thorough research before making any investment decisions. 11 What can you Invest in? 12 How does Hargreaves Lansdown Work? Depending on the type of account you would like to open, the minimum deposit ranges from just £1 all the way up to £1000. Also it’s worth noting that as the company is regulated by the Financial Conduct Authority (FCA), client funds are deposited and held in segregated Trust accounts with Tier-1 banks, meaning that they are protected from being included in any asset liquidation if Hargreaves Lansdown were to one day cease operations. With a comprehensive range of products and services to choose from, here are some of the options available to UK residents. Suitable for both experienced and newer investors, this account provides easy access to a wide range of investment classes. With the Stocks and Shares ISA, it’s possible to make tax free investments in over 2,500 different funds, shares, and investment trusts. In addition, it allows access to shares in the UK, Europe, the US, and Canada; as well as corporate bonds, gilts, investment trusts, and ETFs. The Stocks and Shares ISA also allows you to choose a ready-made portfolio, or to be more hands on and create your own. ISAs are a great way to make tax-free investments, and thanks to the initiative passed by the UK government, you can now fund your ISA account with up to £20.000 per year and use these savings to invest in the stock market. A Junior Stocks and Shares ISA is an account for children under 18 that provides younger savers with access to tax efficient investments. It can be opened by any parent or legal guardian who wishes to start a HL Junior ISA for their child with family and friends also being able to add money to the account. Once the child turns 18 they gain access to the money, and may make tax free withdrawals. Currently, there’s a limited amount of money you can put in a Junior ISA each tax year (6 April to 5 April), and this tax year the Junior ISA allowance is £4,260. A Lifetime ISA is available to anyone between 18 and 39 years old, and represents a flexible way to save cash or invest in the stock market. This ISA can help you to save for a first house purchase or later life, and you can opt to save or invest your cash with your money growing free from UK tax. In addition, there is an extra 25% from the government of up to £1,000 a year. You can currently invest up to £4,000 each tax year with the government adding a further 25%. This initiative means that for every £4 you save, you’ll receive £1 extra, up to a maximum of £1,000 per tax year. While you need to be between the ages of 18 and 39 to open a Lifetime ISA, you are still able to pay in and receive the government bonus until you turn 50.When it comes to taking the money out, after 12 months, you can use your funds to make an eligible house purchase for a property worth up to £450,000. You can also wait until you’re 60 to withdraw your savings. If you require access to your money before you’re 60 and you aren’t buying a first home, there will be a 25% government charge. As a result, an early withdrawal may see you get back less than you first put into the ISA. Investment trusts are funds that are publicly listed as companies on the London Stock Exchange, and as a result are traded like shares. There are over 300 investment trusts to choose from, and each investment trust has its own manager and board of directors who work to uphold investors’ interests. Popular investment trusts include the Scottish Mortgage Investment Trust , Woodford Patient Capital Trust PLC , and the Fidelity China Special Situations PLC . With Hargreaves Lansdown these trusts can be bought as part of your ISA account and SIPP. The share dealing service is an easy way to buy and sell shares. A simple three step process allows you to quickly open an online account online, and add money via debit card or by setting up a monthly direct debit. From here you can find the shares you want to invest in, and buy and sell shares by logging into your account or using the HL app. You have the option of opening a fund and share account or accessing the service through your ISA or SIPP account. Due to the convenience of opening and maintaining the account, and the wide amount of news and market research Hargreaves Lansdown makes available, this may be a great option for anyone new to the practice of buying and selling stocks and shares. A self-invested personal pension (SIPP) allows you to save for retirement in a tax efficient way and suits people who like to take control of their investment decisions. A Hargreaves Lansdown SIPP presents more options than a traditional pension, and anyone choosing this option has access to over 2,500 funds, both UK and overseas shares, as well as bonds, investment trusts, and exchange-traded funds (ETFs). There are also ready-made investment portfolios compiled by in-house experts, and in the same way as other pensions, the government gives you up to 46% tax relief on the money you pay in. Furthermore, you aren’t required to pay tax on any gains or income your investments make once your money is in a SIPP. Any UK resident under the age of 75 can usually pay in as much as they earn, up to £40,000 a year, and receive tax relief. Anyone with an unused allowance from previous years may be able to make contributions of more than £40,000 in one year. An annuity allows you to receive a secure income from your pension, and you can exchange either part of or your entire pension with an insurance company for an annuity. The insurance company will then provide you with a guaranteed income for life. The exact income you will receive depends on the value of your pension, your unique circumstances and the options you choose. However, your annuity lasts however long you live, and once set up, they usually can’t be changed or cancelled, and as a result it’s important to conduct detailed research and weigh up your options carefully. You can buy an annuity anytime from 55 (57 from 2028), and Lansdown Hargreaves lets you compare annuities and try to find the best rate available. When going for an annuity, you can choose how regularly you receive your income, whether or not to protect your income from inflation, and what happens to your annuity when you’re gone. Also, as you can use part of your pension to buy an annuity, you have the option of splitting your pension between an annuity and drawdown, which works out as being a more flexible but higher risk way of taking your pension. A drawdown is available to anyone from the age of 55, and you can move your entire pension into drawdown at once or do it over time. Here, you can receive 25% as a tax-free cash lump sum while the rest remains invested. When moving your pension into drawdown in stages, you also receive your tax-free cash in increments and get up to 25% of the amount you choose to move each time. This option keeps you in control of how much income you take, and how often you make withdrawals. In addition to providing more flexibility with regards to income, the drawdown option also gives you the freedom to choose your own investments, or select a ready-made portfolio. However, income from a drawdown isn’t secure as investments can rise and fall over time, Hargreaves Lansdown therefore provide a drawdown calculator to help you plan for the future and work out how long your drawdown plan may last. This is a straightforward way to save or invest your cash and it’s possible to set up a direct debit starting at £25 a month. From here you can choose to simply save your cash reserves or invest them into a number of funds, eligible investment trusts and ETFs. You can also invest in FTSE 350 shares and Hargreaves Lansdown doesn’t enforce any dealing charges for funds, while a low dealing commission of £1.50 per trade is applied to shares and investment trusts. The regular savings option is a popular choice for people getting into saving and investing, and the ability to save a set amount every month does away with much of the complexity of investing. For anyone signed up, there is the option to set up a regular savings instruction in Stocks and Shares ISA, a Fund and Share Account, a SIPP (pension) or a Junior Stocks and Shares ISA. Lansdown Hargreaves is one of the UK’s leading platforms in terms of the amount of options available and the number of products you can invest in. There are a wide range of investment choices and Lansdown Hargreaves has something for every type of investor. As specialists in wealth management, thousands of funds, investment trusts and ETFs are made available, while a comprehensive amount of tools and resources are also on hand to help investors make smart, informed choices. In addition to the wide range of investment choices, tools and complimentary tools and services available, the overall user experience is a major bonus as the platform is relatively easy to use, with accounts often able to be set up in minutes. Furthermore, it is also possible to buy individual shares via Lansdown Hargreaves as the company is also a licensed stock broker. How does Hargreaves Lansdown Work? On top of this, you’ll also be required to answer a few basic compliance questions and confirm how much trading knowledge and experience you have. This shouldn’t take long and opening an account can be completed in around 10 to 15 minutes. Registering an account will allow you to gain immediate access to the Hargreaves Lansdown platform and you can begin to make use of the various tools and resources available. However, it’s worth noting that won’t be able to actually make any trades on your account until you’ve passed compliance, and this can take up to a few days. Simple savings accounts such as the Active Saver Account do not require the same amount of verification and you can open an account by entering your personal information, and your debit card details, and then confirming your account options. Once logged in, the platform is easy to use and very user-friendly. The design team have opted for an intuitive and well laid out interface, which makes it much easier to navigate the platform and locate any relevant sections, tools, and resources. The website contains a large amount of information to help people to become well informed traders and investors and the resources provided by Hargreaves Lansdown include general and market news sections, research and tips, market insights and statistics, as well as a range of guides and calculators. The research area also makes a large amount of fundamental company data available, and allows anyone to analyze the price chart of a stock or fund and use various technical analysis indicators. The more detailed resources can be found on the public website and from within the personal account section, with publicly available data being combined with information put together by third-party research providers. However, for a significant number of people, the guide section may prove to be invaluable as there are guides that cover the areas of investment, pensions and retirement, and international payments. Furthermore, there are beginner guides that cover the basics of investing, how funds work, and clearly explain the stock market and shares. The variety, depth, and quality of information available on the platform allow it to remain a central hub for both newer and more experienced investors and links to helpful guides can be found throughout the site. Finally, under the tools section, the site allows anyone to access the Android and iOS mobile apps, as well as the iPad app, and accounts can be managed entirely from the apps which benefits people who like to invest and stay on top of their accounts while on the go. Individual Savings Accounts or ISAs are a popular to save and invest in the UK with each individual being able to accrue tax free savings of up to £20,000k in a tax year. A Stocks and Shares ISA is an alternative to the popular Cash ISA and the Hargreaves Lansdown Stocks and Shares ISA allows you to choose from six ready-made portfolios based around investing for growth or income. You can analyse the composition of each portfolio, calculate their potential growth, as well as work out the costs and charges related to your preference by using the available charts and tools. You are also free to decide your own investments, and choose from around 2,500 funds, shares, and investment trusts. An ISA account can be opened with just £100 or by setting up a monthly direct debit transfer of £25. You can withdraw your money whenever you need to, and your savings remain free from any UK income or capital gains tax. Hargreaves Lansdown aims to provide a top class service and aims to answer any calls in just 21 seconds, while you can access your ISA anytime online or via the HL app. The company was declared the Best ISA Provider in 2014 by Money Week and the Best Investment ISA of 2016/17 by the Personal Finance Awards. The ease of use and comprehensive options makes Hargreaves Lansdown one of the most complete platforms in operation. However, this comes at a premium, as it is not the cheapest option available, and the additional resources and research naturally lead to a higher price for the overall service. There are no charges for opening an account, holding cash or account inactivity, and the annual fee charged by Hargreaves Lansdown is 0.45% for the first £250,000 invested, 0.25% for investments between £250,000 and £1 million, and 0.1% for investments between £1 million and £2 million. There is no annual charge for any investment in excess of £2 million. The exact cost of your portfolio will depend on the types of underlying investments you invest in and may also accrue additional fund manager charges. Currently, if you invest £15,000 in funds and £5,000 in shares, your account charge would be £7.50 per month (£90 a year). The Hargreaves Lansdown Vantage SIPP is a popular product with close to 300,000 customers having already chosen the Vantage personal pension. Similar to their ISA product you can choose from a wide range of investments including stocks & shares, ETFs, investment trusts and over 2,500 funds. You can start your SIPP with a £100 one off payment, or opt for a £25 a month regular payment. As ever, there is a good amount of research, and updates provided to help you with your investment decisions, and you can check your pension anytime online and with the HL app. Furthermore, there is a Pensions Helpdesk on hand to answer your questions six days a week, and Hargreaves Lansdown was voted the Best SIPP Provider for 10 years in a row by ‘What Investment’ and the Best Online SIPP Provider in of 2017 by Your Money. UK residents under 75 can usually pay in anywhere up to £40,000 a year, and get tax relief, the Vantage SIPP also allows the easy transfer of old pensions in order to consolidate retirement savings and keep everything in one easy to manage account. Firstly, there are no charges to set up a Hargreaves SIPP or to consolidate and transfer old pensions into your new SIPP. The annual charge levied by Hargreaves Lansdown is 0.45% for the first £250,000 invested, 0.25% for investments between £250,000 and £1 million, and a 0.1% charge for investments between £1 million and £2 million. Once again, there is no annual charge for investments in excess of £2 million. Similar to a Stocks and Shares ISA, your investments may come with their own unique charges and the exact cost of your portfolio will depend on the types of underlying investments you invest in and any additional connected charges. Hargreaves Lansdown Active Savings is a new cash savings service that aims to simplify the savings process while maximizing the interest you earn. After opening an Active Savings account you can choose from a range of fixed-term savings products (ranging from 3 months to 5 years) and combine savings products from a range of UK banks and building societies such as Aldermore Bank, Charter Savings Bank, Close Brothers Savings, Coventry Building Society, ICICI Bank, and Metro Bank. The AERs available range from approximately 0.95% to 2.55% and customers get to choose from a variety of products and manage their finances through an easy to use online account. An Active Savings account allows you to swiftly and easily move your money between the best available deals at a click of a button. However, the service doesn’t cover the entire savings market but still contains many of the best offers available. Accounts can be opened with £1,000 and eligible deposits up to £85,000 are protected per banking licence, and all of Hargreaves Lansdown’s partner banks are authorised by the Prudential Regulation Authority (PRA), regulated by the Financial Conduct Authority (FCA) and covered by the Financial Services Compensation Scheme (FSCS). You can open an Active Saver Account by entering your personal information, your debit card details, and then confirming your account options. Hargreaves Lansdown also provides access to a wide variety of funds, with customers being able to choose from actively managed and passive options. Both the Multi-Manager funds and the HL Select range of equity funds are managed by the firm’s in-house investment experts and the funds allows customers to make diversified investments in a range of sectors from around the world or concentrate on investing in portfolios of top UK shares as chosen by the fund management team. These are made up of ten funds that offer diversification via investments in a variety of sectors across the globe. The Hargreaves Lansdown fund management team launched their first fund 15 years ago and have delivered strong long-term returns. Customers can currently choose from funds such as Asia & Emerging Markets, European, Special Situations, High Income, and Strategic Bond. Experience significant portfolios, as each fund holds around 30 shares, with each share making a difference. Hargreaves Lansdown gives its customers the ability to target capital growth over the long term with its HL Select UK Growth Shares fund and here, the investment strategy focuses on financially strong businesses which are capable of funding their own growth. This fund is comprised of 29 shares selected for their growth potential and managed by in-house experts in a single fund. The HL Select UK Income Shares focuses on delivering a monthly income, alongside long term growth. In order to do this, the investment strategy involves finding companies paying sustainable dividends and also identifying each business’s ability to grow this dividend each year. Investors can choose to receive income from the fund on a monthly basis by choosing the dividend income units or have the payments automatically rolled back into the fund by choosing accumulation units. Whichever Fund preferred, investors have the ability to keep up with their investments through detailed fund breakdowns and news section, as well as fund managers’ blog posts and email alerts. Due to the large number of investment funds available with the number totalling over 3,000, Hargreaves Lansdown has come up with The Wealth 50 which is a shortlist of their experts’ favourite funds. A distinguished career – By analyzing the manager’s entire career, so they know their strengths. A fantastic track record – a fund manager needs a history of good performance across different market conditions. A robust process – Hargreaves Lansdown meets managers a number of times to get a deep understanding of how they invest, and at least once a year when they’re on the list. Crucially, Hargreaves Lansdown does not take any payment or commission for funds to appear on the Wealth 50, they are chosen strictly by their performance potential. Hargreaves Lansdown is also able to leverage its large client base in order to negotiate with other financial companies and lock down some of the lowest fund charges across the industry. The Vantage Service investment platform acts as a central hub and operates as a “one-stop shop” for investors looking for a wide range of choices. The online platform provides easy access to a broad range of investment classes, including shares in the UK, Europe, the US, and Canada, and corporate bonds, gilts, investment trusts, and ETFs. Customers also gain access to over 2,500 funds and the platform facilitates the easy switching between investments, whether they are in standard trading accounts or within an ISA or SIPP (Junior ISAs and Junior SIPPs are also available). Due to the range of services being offered on the platform the fees charged by Hargreaves Lansdown currently tend to vary quite a bit. Some products remain competitive fee-wise while others come at a premium. As a result, it’s best to make sure to check around to see how the fees compare to the market rates and consider just how important the extra services offered by Hargreaves Lansdown are. With regards to trading, customers have the option of opening a Stocks and Shares ISA or choosing to go use the share dealing service to open a fund and share account. Share dealing charges start at £11.95 and decrease in relation to an increase in trading activity. Charges are calculated based on the number of transactions completed the previous calendar month either online or via the mobile app. As we can see, the dealing charge falls to £8.95 per deal If 10 to 19 deals are completed, while traders with 20 or more deals are charged £5.95 per deal. This structure therefore benefits more active traders and may appear quite steep for anyone making just a few trades a month. Any deals conducted by phone or post accrue a charge of 1%, with the minimum and maximum thresholds set at £20 and £50 maximum respectively. It’s worth noting that a good number of residual stocks, bonds, gilts, VCTs and PIBS can only be dealt over the phone. In addition, any customer choosing automatic dividend reinvestment will see their dividends being reinvested once they reach £10 per holding. Furthermore, dividend reinvestment comes with a 1% charge with a minimum of £1 and a maximum of £10. Also, when dealing in equity regular savings, a charge of £1.5 per stock will be deducted monthly. This is available on FTSE 350 shares, selected investment trusts and selected ETFs subject to a minimum of £25 per stock per month. As outlined earlier, funds accrue annual management charges and a fee of 0.45% is applied investor holdings in open-ended funds, if they total no more than £250,000. The fee moves to 0.25% for holdings between £250,000 and £1 million, while holdings between £1 million and £2 million are charged a 0.10% fee. Accounts with holdings in excess of £2 million are exempt from fess as are cash investments. Again, when using Hargreaves Lansdown your annual charge depends on whether you hold funds or shares, and there are no charges for opening an account, holding cash or account inactivity. SIPPs also follow the dealing charges previously outlined, and come with additional administrative charges. Cash transfers out are charged at £25 while stock transfers out are charged at £25 per holding. There is also an account closure fee of £25 plus VAT, and an early account closure fee of £295 plus VAT which applies when the account is closed after being open for less than 12 months. Automated sales to cover charges come with a fee of £1.50 per stock per month, and quarterly paper statements and valuations are charged at £20 plus VAT, however paperless statements are free of charge. There are additional charges that may apply to individuals with special circumstances and Hargreaves Lansdown has made a detailed document available for anyone to look through. Hargreaves Lansdown also offers some advanced investing opportunities including Venture Capital Trusts (VCTs), Contracts for difference (CFDs), and Spread Betting. Aimed at more sophisticated investors (described by the FCA as an investor with an annual income in excess of £100,000 or investable assets of more than £250,000), VCTs aim for more ambitious growth by investing in a selection of smaller companies whose shares trade on the London stock market. The trusts usually invest in around 20 businesses chosen by the fund manager who is an expert in identifying promising young companies, and negotiating attractive deals for investors. Examples of VCTs include Generalist VCTs which invest in a broad range of companies in different sectors and at various stages of development. These are the most popular and compare favourably to Specialist VCTs which usually invest in just one sector. AIM VCTs invest predominantly in companies listed or about to list on AIM, while Limited Life VCTs are slightly lower risk, lower return VCTs that to conclude and distribute assets to shareholders five to seven years after launch. Whatever the VCT, trust managers usually look to sell their share of the business three to seven years after investing and move on by reinvesting the capital into a new opportunity. VCTs allow adventurous investors the opportunity to invest in small companies and help them thrive; as a result, they are higher-risk and longer term investments that come with significant tax breaks. In order to access these services, it’s necessary to go to the HL Markets section of the Hargreaves Lansdown website. This section is aimed at active and experienced investors, and is provided by partner company IG (IG Index Limited/ IG Markets Limited) who is a leading provider of Contracts for Difference (CFDs) and Spread Betting. A contract for difference (CFD) is essentially a futures contract between an investor and an investment bank or a spread-betting firm. These agreements allow the involved parties to speculate on asset prices, and when the contract ends, the parties exchange the difference between the opening and closing prices of the specified financial instrument. CFDs often cover shares, commodities, and FX and involve margin trading, with deposits starting from 20% for equities; traders also pay commissions starting from 0.10% per transaction. Share CFDs start from just 0.1% commission, while other CFDs are commission free. Long and short options allow traders to speculate on both rising and falling prices. Access to thousands of markets, including global indices, individual shares, and FX. As well as popular commodities such as gold, silver, and crude oil. A host of trading options including 24 hour trading, opening positions by placing a small initial deposit, and using stop losses and market orders to limit risk. Despite being more attractive to experienced traders, the HL Markets section includes a number of resources and tutorials aimed at helping traders to understand just how CFDs operate. Opening and using a demo account is a straight forward process and customers can also trade on a live account by using the mobile or IPad apps. Spread Betting involves purchasing an asset when expect the market to rise and selling when you expect it to fall. The difference between the sell price (bid) and buy price (offer) is known as the ‘spread’, and when dealing you don’t actually physically buy shares, but rather take a position on whether a price will rise or fall. This is classified as betting, and your activity is free from Capital Gains Tax and UK Stamp Duty (depending on your individual circumstance). Both Spread Bets and CFDs are leveraged products, and as such losses can soon exceed your deposit and require additional payments to clear. Hargreaves Lansdown warns that 78% of retail investor accounts lose money when trading spread bets and CFDs with IG. As a result, these forms of trading are only suitable for professional investors and even then, you should consider whether you can afford to take the high risk of losing your money. If you’d like more information, you can access additional research on the subject at the HL Markets site or on other informative places such as our sister site Blockonomi. Now that we have taken a look at the different products and services that Hargreaves Lansdown has to offer, we can analyze the overall advantages and disadvantages of using this investment platform. Hargreaves Lansdown is a well respected industry leader, and is an award winning investment products and services provider that has been in operation for over 35 years. This leads to natural trust and peace of mind. A comprehensive range of services across multiple products, and popular products such as ISAs, SIPPs, and general savings accounts are offered alongside more specialist products like the Active Savings Account, Venture Capital Trusts, and Contracts for Difference. The platform incorporates a large quantity of high level yet easy to comprehend fundamental and technical research. The various guides, tutorials, calculators, and tools allow customers to tracks products and get up to speed on products and markets that they are interested in. Customer support: Hargreaves Lansdown has a support team that are available to resolve any issues by phone or email. There are also numerous finance professionals and fund managers taking care of your specific financial needs. Commissions and fees can be on the high side depending on how you use the platform. Hargreaves Lansdown is at times not one of the cheapest options available and they are cheaper alternatives for trading accounts and investment services. The platform also includes high exit fees, and customers with SIPPs may feel dissatisfied with the exit fees charged by Hargreaves Lansdown. For some there may be a feeling of being locked in as a result of the exit fees. The customer service platform could be improved with customers restricted to calling in or sending in emails. A significant amount of users would benefit from being able to talk via live chat and discuss issues online in real time. The fundamental research made available is top class, however, the charting and technical analysis tools could be improved; this is an issue that affects more experienced traders, however, the platform can be updated with the design made more user friendly. The website is stacked with research tools and having an online account gives you access to various innovative features including general and market news sections, research and tips, market insights and statistics, as well as a range of guides and calculators. Stock market and sector reports keep you updated with the latest developments of global stock markets. In addition, the previous week’s most traded stocks can be reviewed in the ‘Top of the stocks’ section and it’s possible to compare the percentage share of deals conducted and the value of transactions of the week’s total dealings. Registered member also receive market updates via e-mail which cover the FTSE 100’s big movers and fallers, broker analysis and tips, as well as share research data. The research area also makes a large amount of fundamental company data available, and allows anyone to analyze the price chart of a stock or fund and use various technical analysis indicators. For beginners, the guide section may be most important as there are beginner guides that cover the basics of investing, how funds work, and clearly explain the stock market and shares. While the website also features a Knowledge Centre which lists a selection of frequently asked questions and answers regarding ISAs, SIPPs, VCTs, investment trusts, annuities and ETFs. A section of the website is dedicated to helpful investment ideas, and currently, a UK equity fund by Artemis Income is under consideration, as is an emerging markets fund by JP Morgan. The Lindsell Train Global Equity fund invests in top performing companies with the intention of holding the shares long term. The Wealth 150+ list and Master Portfolios are also popular products and Master Portfolios target long-term investors, and include five categories of portfolio style. As part of their share dealing service, the website provides constantly updated live share prices free of charge. Key metrics including market cap, previous close, trade high and low and total volume are available. While updated graphs and broker preference charts can also be viewed, in addition, your portfolio valuation is included in the service and can be viewed at any time. In addition to trading stocks and shares of FTSE-100 companies, it’s also possible to deal in overseas shares, and American, European, and Canadian shares can be traded online or on the move via the app. Gilts, investment trusts, corporate bonds and exchange traded funds van also be managed online. For many, the ability to set your own price for buying and selling certain shares up to 30 days in advance is a major selling point. You will also be notified when your targeted value has been reached, so that you can limit your orders and minimise your losses. Anyone opting for automatic dividend reinvestments will see their dividends automatically reinvested once they reach your preferred level. This is a low-cost dividend reinvestment scheme with a good deal of flexibility, which allows customers to maximise their investments in an easy to manage way. You can also take advantage of the Price Improvement Service, which can poll no less than thirty market markers at any one time, giving you the best price and ensuring higher revenues with considerable savings on your buys and sells. The company was declared the Best ISA Provider in 2014 by Money Week and the Best Investment ISA of 2016/17 by the Personal Finance Awards. Furthermore, Hargreaves Lansdown was voted the Best SIPP Provider for 10 years in a row by ‘What Investment’ and the Best Online SIPP Provider in of 2017 by Your Money. Hargreaves Lansdown is able to leverage its status as a leading financial products provider and in addition to earning dividends for buying your shares through their platform, you can also use your shareholder status to benefit from shopping, food, and travel discounts. Shareholders also have access to exhibits, company tours and shareholder meetings depending on the amount of shares, and share types held. The company currently has mixed reviews online, with some of the complaints mentioning that their website is not easy to use. Other people refer to exit fees not being more clearly marked. At the time of writing, they have a 2 star rating on Trustpilot which is classified as “Poor”. HL understand their most common critique is the exit fee.It is reflected in the over 50% of the reviews on trust pilot with similar sentiment. They have still continued to fail to make it transparent on their platform to provide consumers information for many years addressing this issue. understandably choosing favourable information from the fine print to place in view for investors is ideal. Of the important investor information one clearly is important. the exit platform fee. To not have it in bold is an attempt to deflect what their competitors offer. It is in their right to do so if the information is in the fine print. this platform is good for people who need a call to understand something very explicitly. but in contrast its not the same for providing basic information without entering pages of fine print. If HL believes they are providing superior value than competitors. why has HL not made it obvious to investors of their higher charges as a reflection of the value that some positive reviews address on here. Telephone and online responses are great. Website and App are easy to navigate, easy to buy and sell. Portfolio x-ray reviews are very helpful. But, this could also be simulation(before buying).Need share and ETF charges to be lower, following monthly saver is a long wait. Need more EM shares to deal. Hargreaves Lansdown is a generally well respected and established UK company dealing in investment products and services. The company provides access to a wide range of products and allows customers to invest in popular products such as Stocks and Shares and Cash ISAs, SIPPs, and various savings and investment funds and accounts. The Vantage Stocks & Shares ISA and the Hargreaves Lansdown Vantage SIPP are seen as leading products while the stock dealing service makes it easy for people to gain exposure to trading stocks and shares. In addition, products such as the Active Savings service allow people to easily increase the returns on their cash savings by investing in savings products from a range of UK banks and building societies at the touch of a button. While this ease of use is a major plus, the wealth of resources available on the site may come at a premium for investors. Certain fees and charges are bettered by competitors and some customers have stated that they were charged a fee for moving their investments onto another platform, and currently most exit transfer fees range from around £25 to just under £300. In addition, anyone conducting just a handful of stock/share trades a month will have to pay a £11.95 fee which adds up over time and may not represent the best value for money. However, investors with larger portfolios may find the platform’s fees to be more competitive, especially as investors with portfolios worth £2 million or more may be exempt from fees and can negotiate charge discounts on an individual basis. As a result, Hargreaves Lansdown is a good choice for investors of various experience levels, and provides investment choices from simple savings accounts to more complex CFDs and spread betting. The level of customer service is also impressive, and includes the support team, website resources, and mobile apps. As certain savings accounts can be opened in minutes and allow you to start saving by depositing just £25 per month via debit card. The best bet may be to get started with a simple product and progress once you become more comfortable with the platform. However, people with higher capital needs may find it necessary to consult professional advice before committing to any financial service provider.